With Hydro Rates ever increasing in Ontario and particularly in rural locations where there are long transmission distances, some people are considering going off the grid. To this end we are providing the following information and advice as well as some contact information for solar specialists along the Bay. The reason we have not included information on wind power is the potential ongoing maintenance of these (moving parts) in remote locations. Some of the specialists that we list are also knowledgeable on wind power and can provide their advice in this regard. 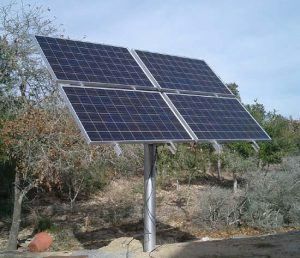 Off-grid stand-alone solar systems, although less expensive and smarter than in the past, still require significant investment. Most of this added expense is attributable to the battery bank to store the energy for use. A 4000-watt system with 1000 watts of solar panels and 8 deep cycle, 6-volt batteries will cost around $ 12,000. And such a system will not be able to handle high energy consuming appliances such as stoves and water heaters. Propane is used to compliment solar energy for heating and cooking adding a further cost. And lastly, when days are short in the fall or there are 3 days in a row of overcast conditions, a backup generator system will still be required. Before contacting an installer/supplier, you should make an effort to identify the size of the power load in your cottage, adding up total wattage based on peak power (i.e. when using all of your electric loads) as well as determining how many watt hours per day you are likely to use (wattage of appliance times number of hours in use). 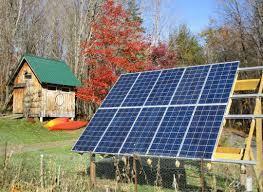 To make solar more affordable you may want to consider reducing your power requirements. It may not the practical to go off grid if you consider such conveniences as electric heating, air conditioning, dishwasher, clothes washer and dryer as mandatory. Electric refrigerators and stoves draw a lot of electrical power and propane alternatives may have to be considered. This will introduce the complexities and cost of propane delivery. DC fridges that can be run on solar/battery power have come a long way over the past few years and could be a good alternative. The other consideration when calculating power requirements that is often overlooked is “grey power”. Grey power is the power consumed by smart appliances and gadgets even when they are turned “off”. They are not really off, but are consuming power to be in a ready state for your use. Think of that digital display on your microwave or coffee maker. They consume power. A cell phone charger plugged into an outlet consumes about 6 watts of power WITHOUT A PHONE CONNECTED. This is almost the same as an LED lightbulb. Or that laptop computer or home phone with a charging base. Any gadget with a transformer consumes grey power. When the cost of power was 8 cents per kwh (now about 15) it was determined by measurement that to have a 42” flat screen TV and a satellite receiver “off” for 22 hours each day cost about $ 60 per year. That is grey power – the TV is staying warm for instant on and the satellite receiver is maintaining the TV guide. You should also try to determine whether you need a 240V supply or only 120V. This will depend on the type of equipment/appliances you use. Give some thought to where you would like to mount the solar? Roof mounting is less expensive but doesn’t give any adjustability and roof pitch may affect performance. Structural considerations must be addressed. Pole mounts give great adjustability but are the highest price option. A 2-tier ground mount may be adjusted seasonally for optimal performance and has a competitive price point, it can be the best option provided foundation construction is not too great a challenge. 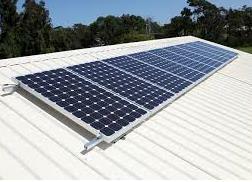 If you have a north facing property it may be difficult to install solar panels in a way that will work efficiently. You may need to trim or even drop trees to improve solar access to your array. Impacts on shoreline habitat and species at risk should be carefully considered. Building permits may be required so check with your local municipality’s building department at the outset of your planning. And always consult with your neighbours given the visual impact of the panels that may affect them. Consider what type of battery would suit you best. 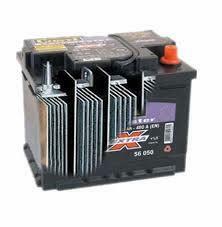 Flooded lead acid batteries give the best life span, and capacity at the best price point. They contain sulfuric acid and water in the cells. The water needs to be topped up from time to time and the batteries need to be cycled throughout the winter to prevent them from fully discharging and thus be vulnerable to freezing. AGM (Absorbed Glass Mat) batteries are the latest improvement to lead-based batteries. 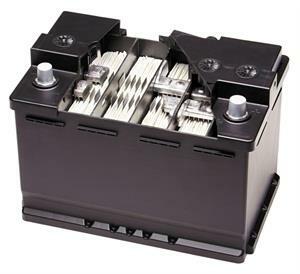 AGM batteries are completely sealed units and are maintenance-free because they do not contain any fluid. This means they are safer, as even if the outer casing gets damaged or cracked, no leakage will occur. While they do require less maintenance, and have better cold weather tolerance, they have lower capacity, have shorter lifespans and are much higher cost than flooded lead acid batteries. Lithium battery technology isn’t ready for off grid application yet. NOTE: NEW REGULATIONS HAVE DRIVEN UP COSTS WITH EXTRA EQUIPMENT FOR RAPID SHUTDOWN AND ARC FAULT PROTECTION, solar panels costs have come down over the years but additional pieces of safety equipment have a major effect on system costs. If you are currently on the grid, have good sun exposure and want to make a green investment, consider applying for a 20 year MicroFit contract. The maximum MicroFit system is 10 KVA (about 10,000 watts) and will cost between $ 40,000 to $ 60,000 for panels that track the sun. With good sun exposure, you will receive a reasonable return on your investment that you can feel good about. Note however, for safety reasons, when power goes down on the Grid, your power will also be off. A backup generator will be required to power appliances. For more information on the MicroFit program go to microFIT@ieso.ca.